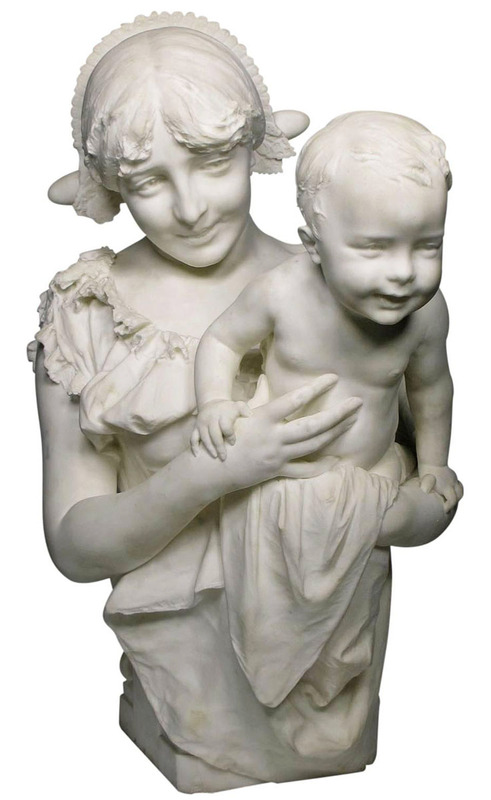 A Very Fine and Charming Italian 19th Century Life-Size Carrara Marble Sculpture of "A Mother and Child" depicting a young joyous mother holding her young child in her arms, by Professor Alfonso Mazzucchelli. Signed: A. Mazzucchelli, Milano. Circa: 1890-1900. 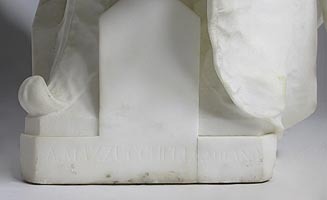 Professore Alfonso Mazzucchelli (Italian School) was an Italian sculptor born in Milan in 1867. 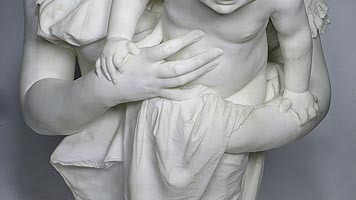 He worked on bronze and marble sculptures, mainly depicting warm and sensual subjects of women and children. He exhibited in Milan, Turin and Venice. He is a listed and recorded artist in the Benezit-Dictionnaire Des Peintres, Sculpteurs, Dessinateurs Et Graveurs by Gründ, Volume 7, page 296 (Ninth Edition).